The Black Friday frenzy is upon us! 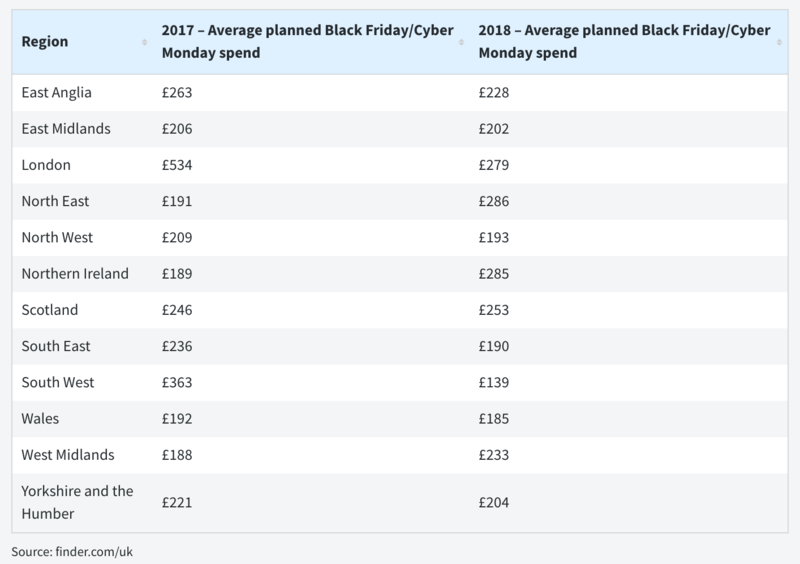 Whilst the ‘holiday’ used to be a way for American companies to see their profits to go from the red into the black after Thanksgiving, the discounting day has become a worldwide phenomena and the UK has jumped on the bandwagon. Savvy shoppers are always tempted to overspend on Black Friday and Cyber Monday and a very simple way to do this is set a budget or limit that you will spend. If you know that you can only spend £300 that this is a good limit to keep too, otherwise it can rack up pretty fast. A popular thing to do is set up a list of your priorities such as a new TV, new coat or shoes and number then 1-2-3 etc. This way you know what you should be budgeting for and what is most important for you. If you are buying online, why not use cashback? You can add an extra 5% saving or money back into your account if you buy online – there are typically no restrictions with Black Friday on this type of thing. You will need to sign up with one of the big boys like QuidCo or TopCashback in order to retrieve money back. But for a particularly large spending like £500, 5% cashback will give you £25 back into your account which is not a bad saving at all, on top of the saving that you are already getting from Black Friday. You can read more about cashback sites here. There are deals out there and if you have your eye on new headphones or speakers, don’t just give in to the first one. Be sure to check numerous websites to see what the prices are and what deals are available. A lot of companies such as John Lewis are offering a price match whereby they will match anything price for the same branded good – so if you want to do all your shopping in one place, be sure to check for the price match option. Another useful thing to note when researching is the shelf life of some of these goods, especially electronics and gadgets. Things like mobile phones, TV and other household appliances may be on the verge of a new range coming out in January – so the prices are only going to drop anyway. It is worth researching to see if any new models are coming out, because if there are, you will probably be able to get the item even cheaper if you wait a little longer. An essential thing to do when buying products on Black Friday is checking the returns policy, which could be different to a normal retail day. What if you don’t like those red shoes you bought? Or what if you feel the TV you bought is just too big? You need to check the returns policies because there may be limitations or no refunds or store credit, which may not particularly suit you. Some entrepreneurs and rogues will be looking to exploit the marketing opportunity with Black Friday sales and offers. If you see any adverts on your Facebook, Twitter or Instagram pop-up, by all means, check them out, but approach with caution. Specifically, some things cannot be so cheap. You cannot find an amazing flat screen TV for just a few pounds or a designer jumper for less than £10. The holiday gives rise to counterfeit goods and that is why the items are so cheap. Making sure the site is secure with an https in the main browser. This will encrypt any personal details you give and make them safer from potential hackers. Check the website address and phone number. Ideally local UK based companies should be contactable and have a local address. If this is notably missing, it could be a warning sign that the goods are not real. So taking these Black Friday bits on board, you should be in a great position to make a real saving, get exactly what you need and make the most of the discount opportunity!